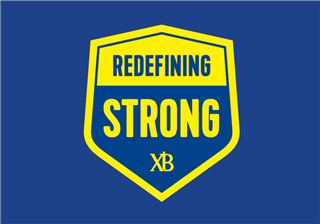 Xaverian Brothers High School is a Catholic, college-preparatory school for boys in grades 7-12, located in Westwood, Massachusetts, established in 1963, and sponsored by the Xaverian Brothers...but what does that mean? Find out here. Enhancements to our campus have ensured that all students are supplied with the most modern and cutting-edge facilities, preparing them to be successful both inside and outside of the classroom. Xaverian students emerge as confident scholars and able leaders. Visit our 36-acre bustling campus located in suburban Westwood, Massachusetts. 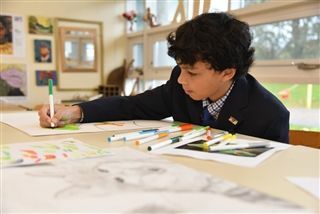 Xaverian students understand and appreciate their role in the learning process, as they actively and creatively participate in the classroom and beyond. More than 90% of teachers have advanced degrees, and all are 100% dedicated to the success of their students. 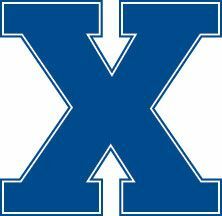 On a campus so filled with opportunity, every Xaverian student is encouraged to get involved. Our activities and organizations bring many opportunities for leadership. 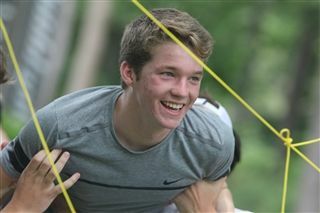 At Xaverian, students learn lifelong lessons in teamwork, discipline and leadership. Inspired by unparalleled facilities and outstanding coaches, Xaverian Hawks are challenged to reach their full potential. Interwoven into all aspects of our education are a faith in God and the values of trust, humility, compassion, simplicity, and zeal. The center provides a space for students to develop and nurture relationships between God, themselves and others. 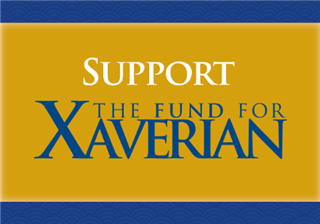 Xaverian's annual fund, the Fund for Xaverian, provides vital support for all aspects of the Xaverian experience. Make your gift today! A proud school tradition, the Francis Xavier Society reflects the exceptional generosity and leadership within our community. Congratulations to the Xaverian students who qualified for the Massachusetts Music Educators Association (MMEA) District Chorus, and good luck to Jack and Joe, as they prepare for All-State auditions. This month, 10 members of the Xaverian chorus traveled to Milton High School to audition for the MMEA Eastern Senior District Chorus. Out of those 10, three were accepted into the chorus, and two of those three qualified to audition for the MMEA All-State Chorus. MMEA hosts district and all-state choruses and instrumental ensembles in all 50 states. Massachusetts is composed of five districts: Eastern, Central, Southeastern, Northeastern, and Western. High schoolers all across the state, both public and private, are allowed to audition for musical groups in these districts. Students are graded based on a rubric of 124 points. The audition requires students to bring a prepared piece, sing a scale, and sight read (i.e., sing a randomly-generated piece of music they haven’t seen before with only 30 seconds of preparation). The cutoff score for the Senior District was 102 points. If students received a score of 108 points or higher, they also qualified to audition for the All-State Chorus, composed of students from all over the state. Over 1,000 high schoolers from the Eastern district, which stretches from Boston to the tip of the Cape, auditioned on Saturday. Out of that group, only around 160 were accepted into the Senior District Chorus. From Xaverian, Jack Leary ’19, Sam Stearns ’20, and Joe Cucinotta ’22 made the cut with scores of 114, 103, and 112 respectively. The three will join the other accepted students at the Boston Latin School on January 4 for a day of rehearsal before their January 5 performance. For those auditioning for the All-State Chorus, there’s a lot more work to be done. Their music will arrive in the mail later this month so that they can begin preparing. At the end of January, those eligible to audition (approximately 500 students statewide) will travel to Shrewsbury High School to try out. Jack Leary and Joe Cucinotta will be among them. If selected, Jack and Joe will perform in early March at Symphony Hall in Boston, under a collegiate-level director. A private, Catholic, college preparatory day school for boys in grades 7-12. The Boston area prep school offers a rigorous academic curriculum, a well-developed campus ministry program focused on faith, character, and leadership, and a proud athletic tradition featuring competitive Division 1 high school athletics in the Catholic Conference.